For the 2019 event, we’re separating event registration from trail selection. This will allow us to use a powerful scheduling app to help you manage your trails. That means you’ll be able to change trails from your phone, tablet, or laptop without having to find a member of the Cruise Moab committee. We think this will be a huge upgrade! We will be running the classic Moab-area trails you’ve loved in the past (or have heard about if this is your first time). We’re also hoping to add a few new overnight run options! Trail selection will take place starting Saturday, March 9, 2019 (or shortly thereafter). Don’t worry — we’ll give you plenty of notice ahead of time on how to get ready to choose your trails. But you will want to look for an email that morning so you can select all your trails. Can you help us by leading a trail? Email us at registration@cruisemoab.com. No obligation, we’ll call you to discuss! The price for early registration is $200. Regular registrations will be $225 (after Feb. 1). To get the early registration price, enter the coupon code from the home page (starting on 1/14/2019). Additionally, BLM fees are $20 per person (driver and any passengers). For most people, that means your minimum total will be $220 (assuming you register by Feb. 1). However, if you’re not running ANY trails, you don’t have to pay BLM fees. Registration includes: participation in the whole Cruise Moab event including: guided trail runs, Thursday night Vendor Showcase, the famous Friday night dinner & raffle (including 1 dinner ticket), one event sticker, and one official event t-shirt. There may be additional included shwag as well! Registration is per vehicle; if you have passengers, you only need to register once. Raffle tickets for the famous Friday night raffle. Tons of prizes will be awarded to many lucky people! Entrance fee to the national parks for the Elephant Hill trail (in Canyonlands National Park) and/or Arches National Park Family Run. One entrance fee will get you into both parks for 7 days. The vehicle entrance fee is $10 and includes all the occupants of your vehicle. If you already have a National Park pass, you will not need to pay this fee. Gear at vendor night. Not all vendors will have stuff for sale, but many do, and it’s really cool stuff. Trail selection will start in March (we’ll notify you so you don’t miss it!). If you choose an overnight run, an additional $25 (per vehicle) for food and permit costs will be required. This is only for people who choose the Kokopelli or the San Rafael Swell overnight run, where the leaders will be providing at least one meal. We have now have official camping options. Click here to read about them and reserve your camping now. Please note: camping is not included in your registration fee and must be reserved separately. If you prefer to stay in a hotel or condo, we recommend looking for a place on the south end of town for the 2019 event. Moab is a popular place so there are lots of places to stay. Our Vendor Showcase on Thursday night has grown to be one of the favorite parts of the event for many people. If you’re interested in exhibiting for your company or sponsoring a trail, we’d love to talk with you! Please send us an email. 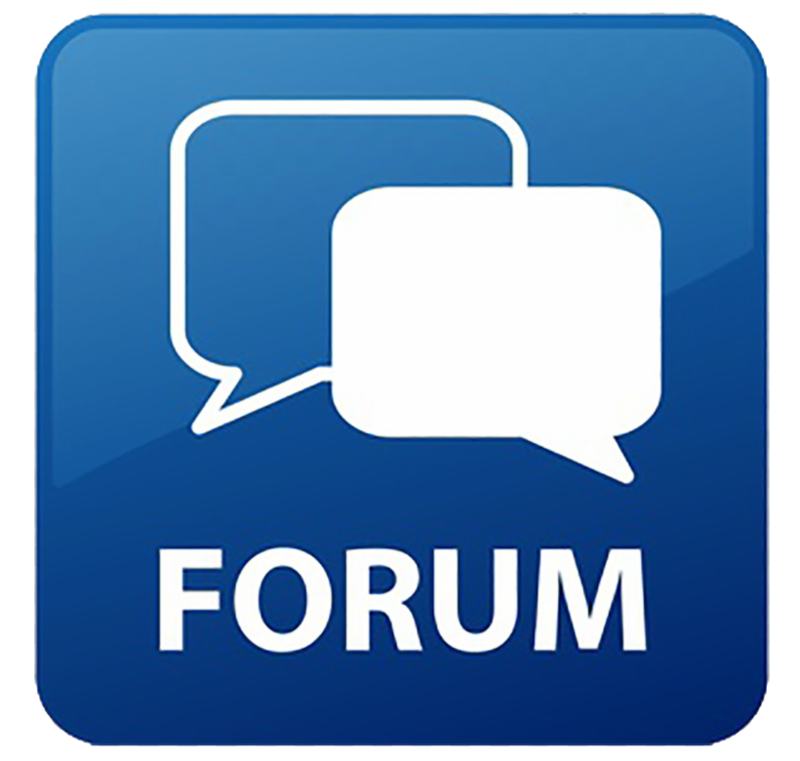 All prospective vendors must coordinate with our committee in advance. Due to the popularity of Vendor Night at Cruise Moab, we may not be able to accommodate all interested groups. Please note: all exhibitors and sponsors must be registered as Cruise Moab participants, even if you don’t plan to run trails (you can choose this option during registration). Cruise Moab is a TLCA sanctioned event, and you are required to be a TLCA member to participate. 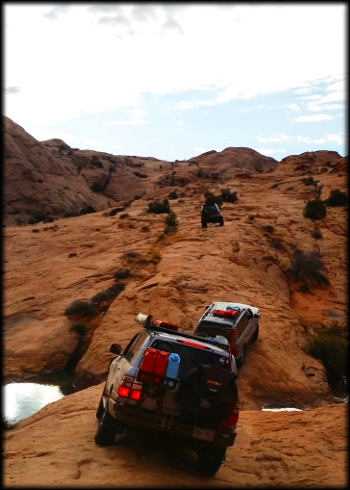 We could not have Cruise Moab without the insurance that TLCA makes available to us. Therefore, all registrants at TLCA sanctioned events must be current TLCA members. Click here to join TLCA or renew your membership. We do allow registration and participation for non-Toyota based vehicles, but keep in mind that you’re attending a Toyota 4WD event. Be prepared to endure some friendly teasing, especially if your vehicle breaks on the trail. It’s likely that by the time you depart, you’ll want to sell your rig and buy an old Toyota. Please note: regardless of your vehicle, you must be a TLCA member. Our 2019 schedule isn’t finalized, but here is a draft of what to expect. For most participants, we recommend arriving on Wednesday as early as convenient. Area Trails from Utah.com – if you want a second opinion after reading the trail descriptions listed on our website, check these out. The whole thing started with an unofficial, exploratory run back in 1996. Click here to read the whole story.